How was it that early Christian reflection on Jesus emerged so rapidly and with such a high degree of definition? What patterns of interpretation, already known in late second temple Palestine, crystallized around the person of Jesus Christ and his work? Margaret Barker believes that Christian theology matured quickly because it was the return to a far older faith. Those who preserved the ancient tradition rejected the second temple, and longed for the restoration of the original, true temple and the faith of Abraham and Melchizedek, the first priest-king. In this fascinating discussion, the author refutes the scholarly assumption that crucial Christian concepts, such as the Trinity, the earth as a reflection of heaven, and the cosmic nature of the atonement, are informed by Greek culture. Rather, she argues, they are drawn from the eclipsed faith of the first temple. In recent years, the moral status of the human embryo has come to the fore as a vital issue for a range of contemporary ethical debates. It is therefore extraordinary that there has been no significant systematic work on the history of Christian reflection on the human embryo. 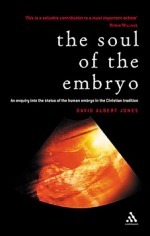 Here, David Albert Jones seeks to tell the story of this unfolding tradition - a story that encompasses many different medical, moral, philosophical and theological themes. He starts by examining the understanding of the embryo in the Hebrew Scriptures, then moves through early Christianity and the Middle Ages to the Reformation and beyond. Finally, David Jones considers the application of this developed tradition to the contemporary situation and questions which contemporary Christian view or views are best regarded as authentic developments of the tradition and which should be regarded as alien to the tradition. Dr David Albert Jones is Senior Lecturer in Bioethics at St Mary's College, a College of the University of Surrey. He was until recently Director of The Linacre Centre for Healthcare Ethics. Timothy Radcliffe is a charismatic spiritual leader; his talks and broadcasts always surprise. A man with strong liberal instincts, he has held high office in the Roman Catholic Church and has a profound respect for the authority and teaching charism of his Church. He is constantly in demand as a speaker, lecturer, preacher and broadcaster and in this new volume he has written with honesty about the difficulties of Christian belief. Shot through with humour, friendship and wisdom, the pages of this book outline a manner of living which is at once faithful to the teachings of Jesus and rooted in the tradition of the Church and at the same time responsive to the turbulence of the modern world. Timothy Radcliffe was master of the Order of Preachers, also known as the Dominican Friars. How, if at all, is religious faith 'true'? 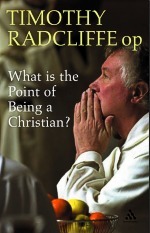 The starting point for this book is that traditional Christian theology overvalues the importance of 'correctness'. What really counts far more is 'Honesty'. Not just sincerity or frankness, but Honesty in the sense of a sheer openness to the Other. A set of skills, Andrew Shanks argues, which the church has very much still to learn. True faith in God is faith in Honesty. 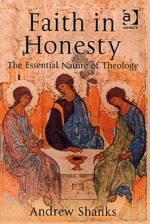 But theological Honesty has three faces. It stands equally opposed to banality, manipulation, the mere disowning of history. This book thus presents a whole new approach to the doctrine of the Trinity. A fresh stimulus to theological debate at academic, student and more popular levels. Andrew Shanks is an Anglican priest who has lectured in theology at the Universities of Leeds and Lancaster, and Manchester where he is Canon Theologian at the Cathedral. This book explores some classic texts which throw light on the atonement. Each chapter focuses on a key Biblical passage, offering a theological commentary which will help both preachers and church members gain a deeper understanding of the atoning work of Christ. Preaching the Atonement assumes that the preacher's role is not to squeeze every passage of Scripture into the same mould. Each passage bears witness to another aspect of the many splendoured work of Christ; as the preacher invites the congregation to listen to the testimony of this cloud of biblical witnesses. Peter Stevenson is Director of Training at Spurgeon's College, London. 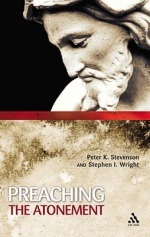 Stephen Wright was Director of The College of Preachers from 1998-2006 and is now Tutor in Biblical Studies and Practical Theology at Spurgeon's College, London. 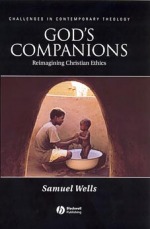 Grounded in Samuel Wells' experience of ordinary lives in poorer neighbourhoods, this book presents a striking and imaginative approach to Christian ethics. It argues that Christian ethics is founded on God, on the practices of human community, and on worship, and that ethics is fundamentally a reflection of God's abundance. 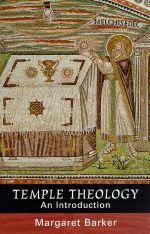 Wells synthesizes dogmatic, liturgical, ethical, scriptural, and pastoral approaches to theology in order to make a bold claim for the centrality of the local church in theological reflection. He considers the abundance of gifts God gives through the practices of the Church, particularly the Eucharist. His central thesis, which governs his argument throughout, is that God gives his people everything they need to worship him, be his friends, and eat with him. Wells engages with serious scholarly material, yet sets out the issues lucidly for a student audience. Samuel Wells teaches at Duke University, a private research university located in Durham North Carolina, USA.